Have a kidney function test in 15 minutes with a nurse, or come in for a test and consultation with a GP to discuss your kidney health. Our kidney function blood test looks into whether your kidneys are functioning optimally, by measuring levels of creatinine, urea and potassium in your system. The most common things that can go wrong with the kidneys are disease and infection, kidney stones, and cancer. Illnesses affecting the kidneys include nephritic syndromes, renal cysts, renal cancer, chronic kidney disease, urinary tract infections, nephritis, urinary tract obstruction and kidney stones. The kidneys serve several vital functions in the human body including maintaining the right amount of fluid and electrolytes in the body, removing excess water, regulating blood pressure, and cleansing toxins from the blood. The kidneys act as a natural filter for the blood, removing waste from the body. They also reabsorb water, glucose and amino acids, and produce regulatory hormones which control blood pressure, stimulate production of RBCs, and keep your bones healthy. 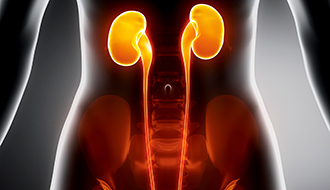 Kidney disease is usually a result of an existing, long-term condition that taxes the kidneys in some way. If you have high blood pressure or cholesterol, diabetes, regular kidney infections, or recurrent problems affecting your urinary tract (such as prostate enlargement or stones), the kidneys can be negatively affected. Some medications, including over-the-counter painkillers, can also impact the kidneys. Once you have your results you can take them to your own doctor for interpretation or, if you would like one of our doctors to discuss them with you, please book an appointment with us for a consultation. Please note that fees are applicable for GP appointments. The kidney function test requires a simple blood test. The doctor or nurse will insert a needle into a vein, usually on the inner arm near your elbow, and a small amount of blood is drawn. You may feel a pricking or scratching sensation. 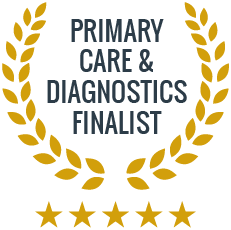 If you had a consultation with one of our GPs they will give you a call to explain the results to you and suggest the next steps. After the discussion with your doctor you will receive the results by email. If you didn’t have a consultation we will email you the results as they arrive from the laboratory. Do I need to see the doctor for my kidney test? If you just want the test, we can book you in for the test without a consultation, and you can interpret the results yourself, or take them to your own doctor. If you would like to discuss your health concerns with the doctor in relation to your kidney test, and to have their support in interpreting your results, please also book in for a GP consultation. In its early stages, kidney disease does not show symptoms, but instead is diagnosed through urine and blood tests. This is why it is important to be aware of the risk factors for kidney disease, which are diabetes, high blood pressure, cardiovascular disease, or genetic/family history of kidney disease. The earlier you are diagnosed, the better your chances of maintaining your kidney health. Treatment and management of kidney disease include medications to manage existing conditions and keep blood pressure and blood sugar levels healthy.